Since Tufão 0.4, I’ve been using CMake as the Tufão build system, but occasionally I see some users reimplementing the qmake-based project files and I thought it’d be a good idea to explain/document why such rewrite is a bad idea. This is the post. It means *nothing* to your qmake-based project. What your qmake-based project needs is a *.pri file to you include in your *.pro file. And such *.pri file *is* generated (and properly included in your Qt-installation) by Tufão. You’ll just write the usual “CONFIG += TUFAO” without *any* pain. You define only one target per file. You need subdirs. It’s hard. The Tufão unit testing based on Qt Test requires the definition of separate executables per test and the “src/tests/CMakeLists.txt” CMake file beautifully defines 13 tests. And with the CMake-based system, all you need to do to add a new test is add a single line to the previously mentioned file. QMake is so hard that I’d define a dumb test system that only works after you install the lib, just to free myself from the qmake-pain. There is no easy way to preprocess files. And if you use external commands that you don’t provide yourself like grep, sed or whatever, then your build system will be less portable than autotools. Not every Windows developer likes autotools and your approach (external commands) won’t be any better. All in all, it becomes hard to write a build system that will install the files required by projects that use QMake, CMake or PKG-CONFIG (Tufão supports all three). The reasons above are the important reasons, but there are others like the fact that documentation is almost as bad as the documentation for creation of QtCreator plugins. 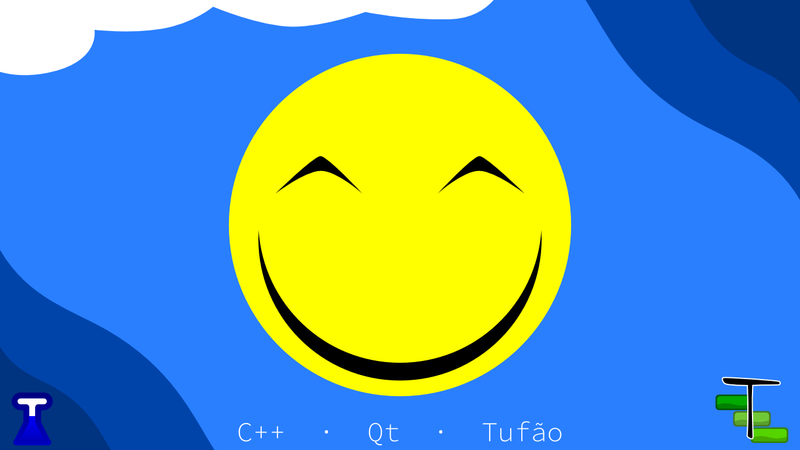 The current CMake-based build system of Tufão provides features that you certainly enjoy. At least the greater stability of the new unit testing framework requires CMake and you certainly want a stable library. In the beginning, QMake met Tufão requirements of a build system, but I wouldn’t use it again for demanding projects. But I don’t hate QMake and I’d use it again in a Qt-based project if, and only if, I *know* it won’t have demanding needs. Of course I’ll hate QMake if people start to overuse it (and creating me trouble). And if you still wants to maintain a QMake-based Tufão project file, at least you’ve been warned about the *pain* and inferior solution you’ll end up with. After a long time developing Tufão, it finally reached 1.0 version some hours ago. I’ve spent a lot of time cleaning up the API and exploring the features provided by C++11 and Qt5 to release this version. … breaks previous documented behaviour, so you’ll need to change the way you use features that were available before. But don’t worry, because the list of these changes are really small and are well documented below. From now on, you should link against tufao1 instead of tufao. The PKGCONFIG, qmake and CMake files were renamed also, so you can have different Tufão libraries in the same system if their major version differs. Headers are being stored using a Hash-table, so you can’t easily predict (and shouldn’t) the order of the headers anymore. I hope this change will improve the performance. HttpServerRequest::ready signal auto-disconnects all slots connected to the HttpServerRequest::data and HttpServerRequest::end slots before being emitted. HttpFileServer can automatically detect the mime type from the served files, so if you had your own code logic to handle the mimes, you should throw it away and enjoy a lesser code base to maintain. Most of the errors related to API changes are caught at compile-time and you can use the Qt5’s new connection syntax and C++11’s override keyword to catch the remaining errors. I want to improve the Tufão’s stability and performance, so now I’ll focus on a minor relase with unit testing and some minor changes. After Tufão 1.0.1, I’ll focus on BlowThemAll. You can see a visualization video based on the history of commits below. You can download the source of the previous wallpaper here. What are you still doing here? Go download the new version right now!